funtY is a theatre training programme for children between the ages of 7 and 15. in this programme we introduce children to an exciting blend of basic acting, voice, story-telling, writing and poetry skills. this includes theatre exercises, voice exercises and writing exercises that help the child to develop skills in public speaking and expression. the above techniques are taught through solo exercises focusing on the individual, and group activities. special exercises are included that enhance the process of creative visualization as well. check out some testimonial from parents and children regarding their funtY classes! what happens in a ﻿class﻿? for discussions, feedback, brainstorming, to encourage the children in group discussions (to explore listening, thinking and sharing to learn from a shared experience). for theatre skills and related exercises where the group performs tasks together (to encourage group learning, to encourage ‘learning by doing’, to overcome shyness and combine with overall group energy with self and express freely). to perform solo activities (to encourage confidence to perform by oneself). freehand question and answer session, where conversation is moderated in such a way as to find the questions and seek answers within the group. thank you for your interest in funty. there will be no funty during the summer vacation of 2015. we will let you know when the next session starts. hi! let us know why you want your child to join funtY and let us know if your child needs any special attention. let us know how old your child is and also tell us a bit about his or her interests and strengths. please also let us know the child's vacation schedule and which dates are convenient to attend the programme. theatre skills go a long way in helping the children in their academics and life in general. research has proven the positive effect of theatre on children’s physical, emotional, social, and cognitive development. 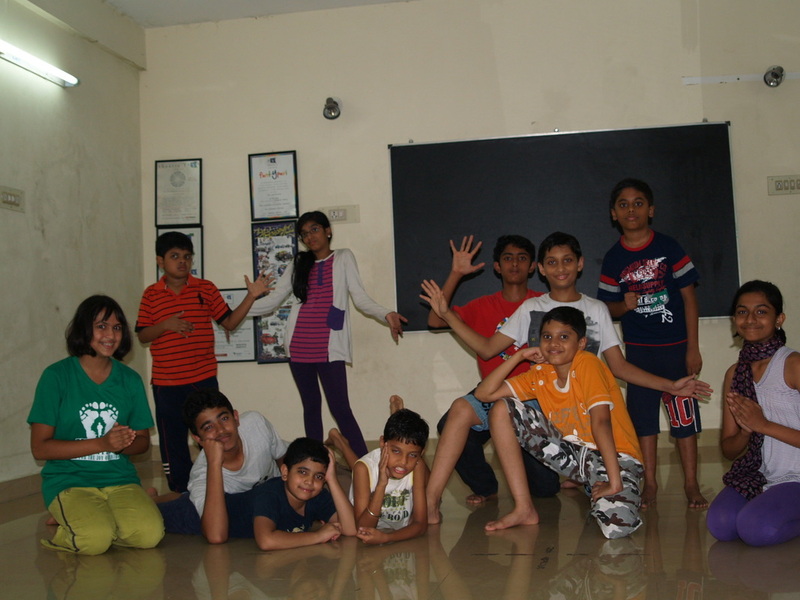 theatre helps in the development of self confidence, self discipline, trust and empathy. it helps develop cooperation, concentration, memory, communication and collaboration skills. children become more physically fit, develop social awareness and aesthetic appreciation. theatre can also be an emotional outlet and helps develop sensitivity through role-playing. act-ivitY: this is the acting related exercise that the child prepares at home and performs at the session the following day. write-ivitY: this is the writing related exercise that the child prepares, writes and reads out at the session the following day. the writing exercises introduce the child to a variety of genres, styles, types and forms of writing.